Chapter 4 Page 16 is up. The crew makes their move on the manse. The game is afoot. 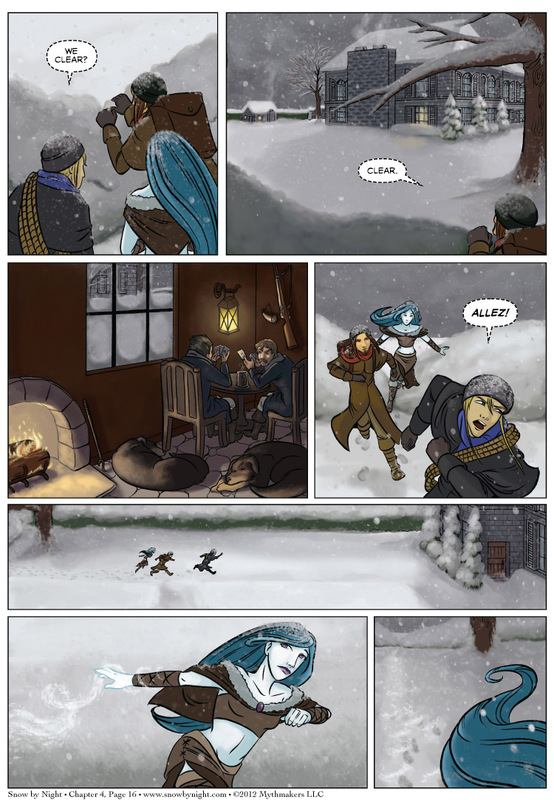 To see a peek at the first room the three encounter, vote for Snow by Night on Top Web Comics. I do so love to guess. What if Snow does find her heart here? ie starts to have feelings for something/someone? The seigneur’s portrait, a guard . . . Practical worth already attained for bringing her along.